Come and visit us at the Marine Discovery Centre (MDC), to learn about the wonders of the underwater world from our team of international marine biologists (open daily from 09:00 to 18:00). 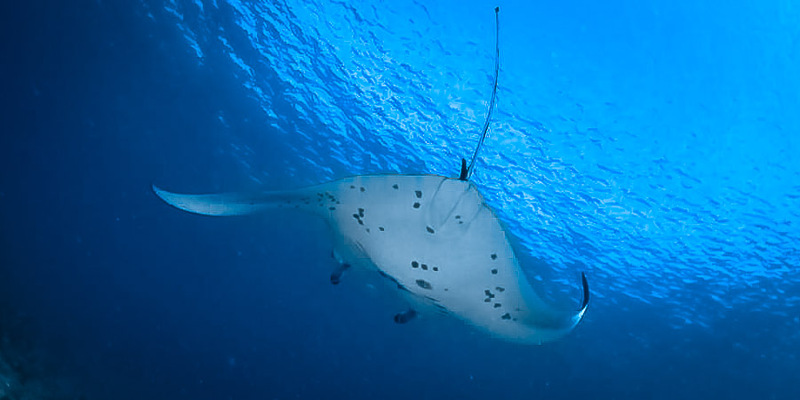 Discover how to identify the various fish, sharks, turtles and ray species you might encounter whilst snorkelling. 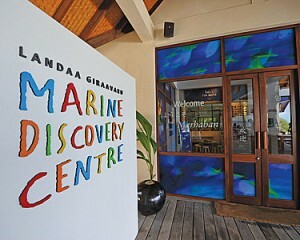 Or if you don’t want to get wet, watch a fascinating 3D movie and visit our sea turtle hatchling rehab programme. 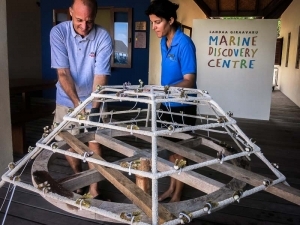 The MDC is also home to our coral reef restoration programme where we aim to create new habitats and reduce the pressures on the delicate coral reef ecosystem. All our excursions are subject to change – please enquire for details. 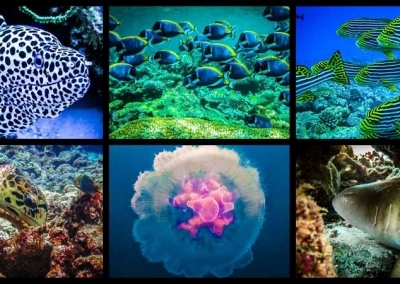 Help save the Maldivian coral reefs and all the amazing sea creatures that live here. 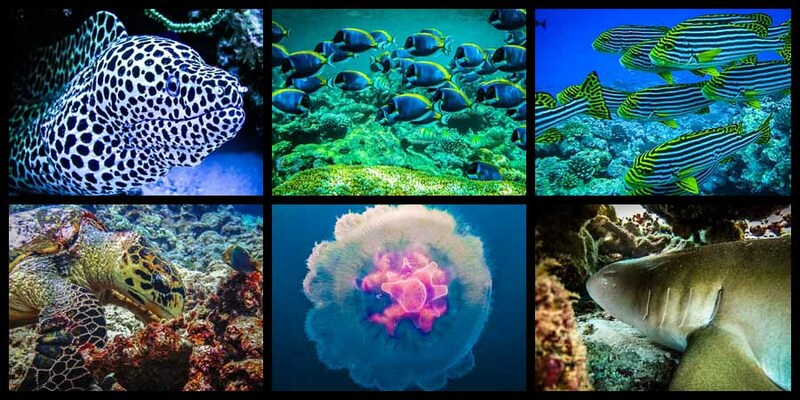 By sponsoring a coral frame you will add to existing reefs and generate new habitats for a large variety of reef fish. One of our marine biologists will teach you about corals and help with the transplanting process on your very own frame. Add a custom message to the frame tag, and receive photo updates as the frame grows and develops. 4 coral frame options: Small (USD $150), Heart ($250), Medium ($300), Large ($500). 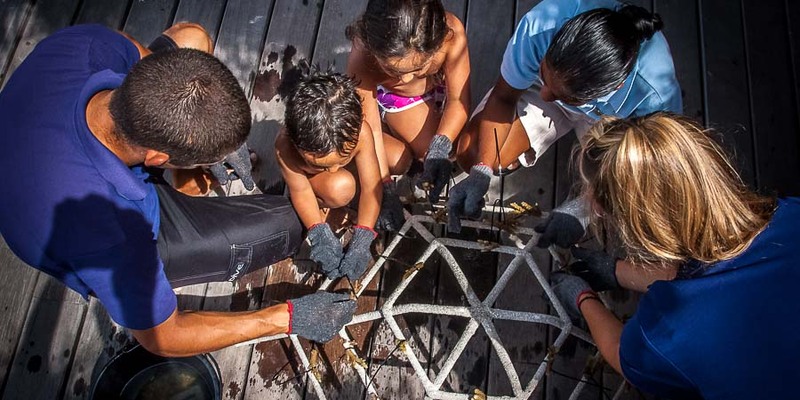 Join a marine biologist and participate in helping to create new areas of coral reef. All participants will help to transplant specially harvested live coral fragments onto a new frame, and start to learn about formation and ecology of the coral reefs. This is a free activity open for anyone interested in coral reef restoration, and we even have a special session for the children. (Personalised tag messages are reserved for sponsored frames only). 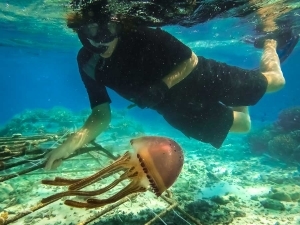 Join us on a 45 minute guided excursion around one of the top local snorkel sites (for experienced snorkellers only). 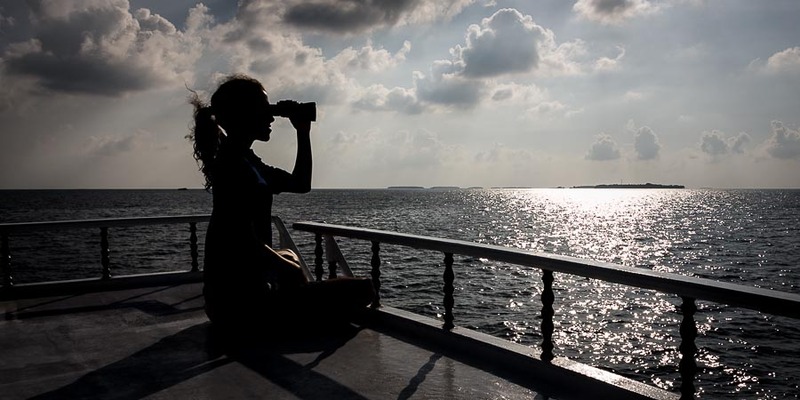 Our tours start with a 20 minute briefing and presentation at the MDC, where participants will learn about specific ocean ecology and how to identify the different species of animals we are likely to encounter here in the Maldives. 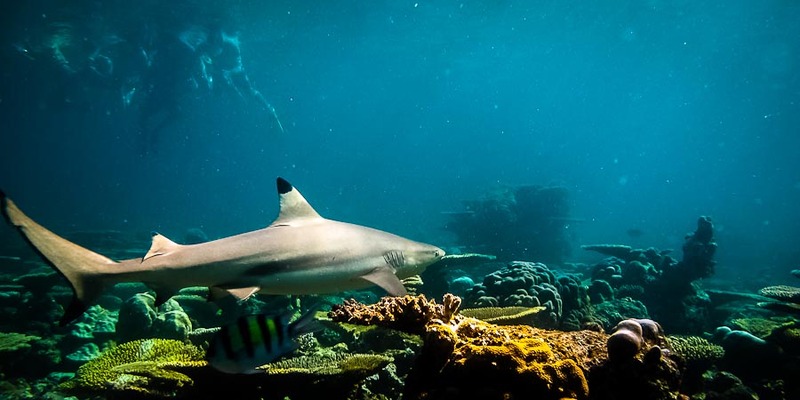 Sharks – a safe opportunity to get up close to some the most graceful and mis-understood apex predators in the ocean. 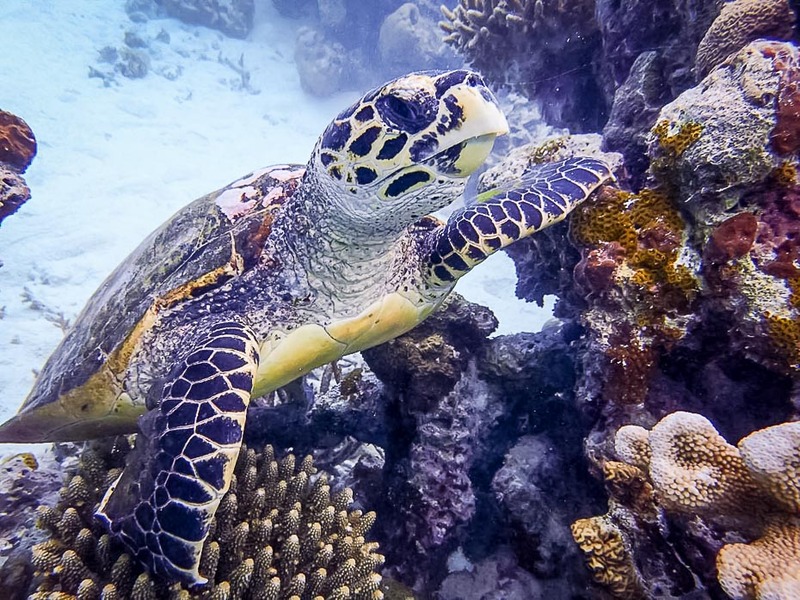 Turtles – see these endangered animals swimming in their natural environment on the reefs, and take a photo for our Turtle ID Programme. 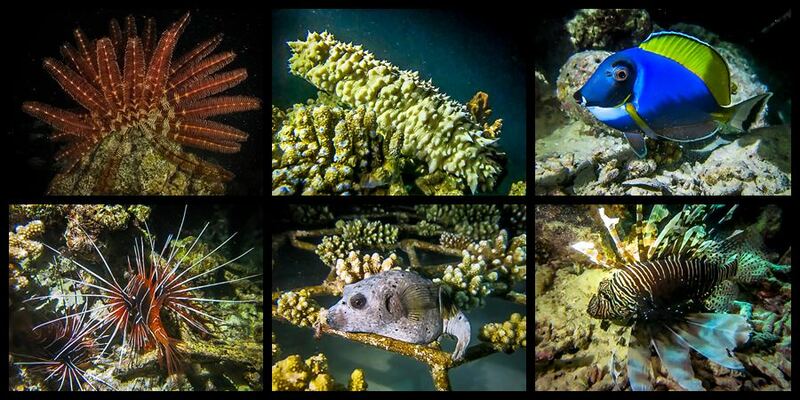 Night – unique underwater nightlife, with beautiful natural fluorescence (in certain species of corals and fish). 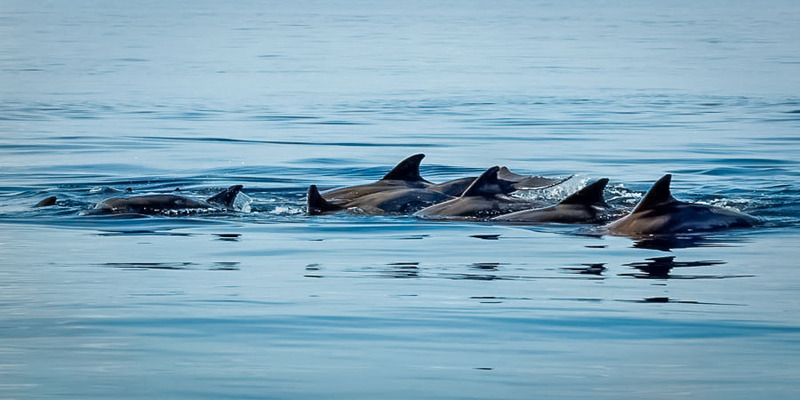 Join us for a 90 minute cruise around the islands of the atoll, in search of some of the most fascinating and charismatic oceanic mammals. 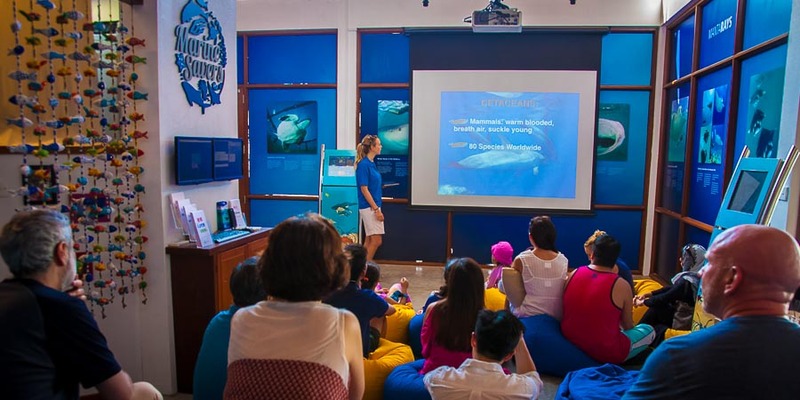 Starting with a 20 minute presentation at the MDC, participants will learn about marine mammal ecology and how to identify the different species we find here in the Maldives. Sightings can never be guaranteed, but we have a good track record ! 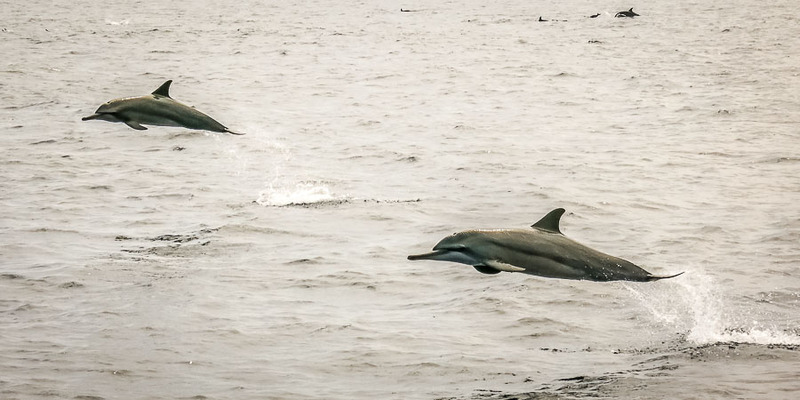 If we are lucky, you might see spinner dolphins leaping from the water, or a mixed pod of juvenile & adult pilot whales gliding gracefully through the waves. Join us on two dives to explore two different Maldivian coral reefs, searching for and photographing as many sea turtles as possible. 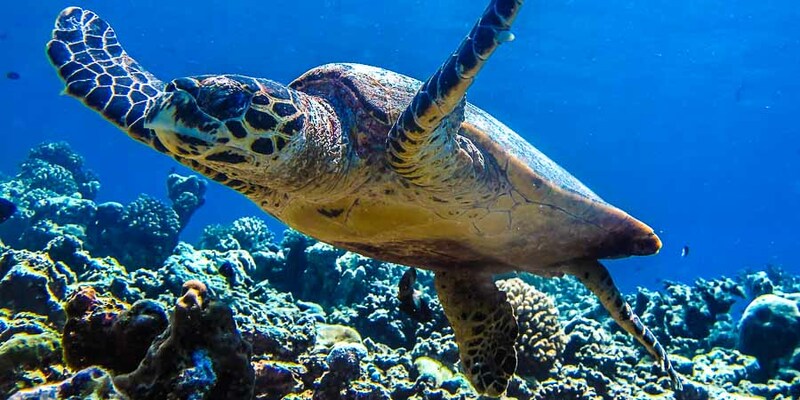 Participants will learn how to identify the different species of sea turtles found in the Maldives, and how to take good photographs to be used for our national Turtle ID Programme (clear and close-up shots of the facial scales are needed for a positive ID). 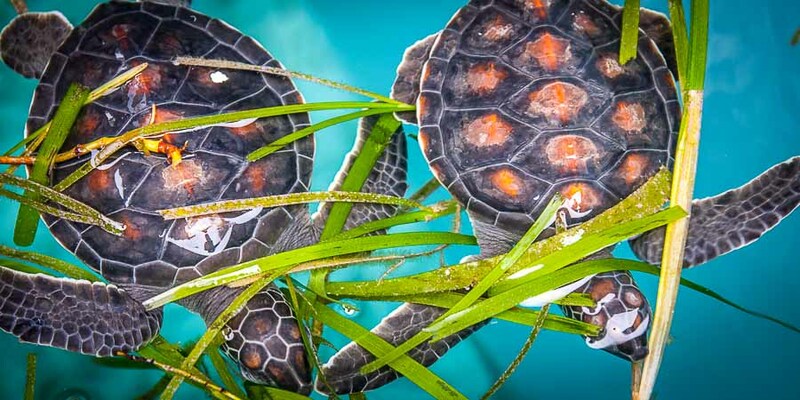 Guests photographing a new turtle will have the opportunity to name it (and receive PADI dive certification). Starting with a 10 minute presentation about the turtles, we then visit the pools where our juvenile turtles are weighed, measured and inspected for any health issues. This is a good opportunity to ask questions and take photos, and learn more about these endangered species. You are also invited to join us at feeding time (at Kuda Huraa and Landaa Giraavaru).